On Mar. 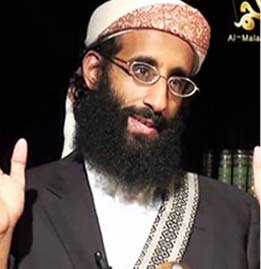 19, the al Qaeda leader known as Sanafi al Nasr returned to Twitter after an absence of more than a month and half. Nasr is both an official in al Qaeda’s global network and a senior strategist in the Al Nusrah Front, al Qaeda’s official branch in Syria. In several tweets, Nasr honored his deceased mother, mentioned the injuries he sustained last year, and asked Allah for success in the jihadists’ upcoming battle in Idlib. Nasr’s tweets were not offhand remarks. He had good reasons to openly pray for success. The Nusrah Front and its jihadist allies have been preparing to launch a new offensive against Syrian regime forces in Idlib for some time. 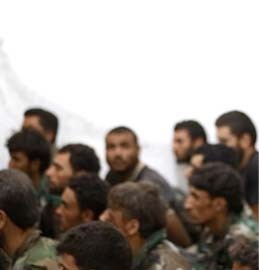 Earlier this week, several rebel groups announced that they had established a new coalition named Jaysh al Fateh. In addition to Al Nusrah, the coalition includes Ahrar al Sham, Jund al Aqsa, Liwa al Haqq, Jaysh al Sunna, Ajnad al Sham, and Faylaq al Sham. 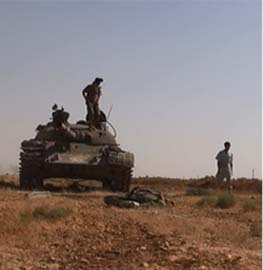 The coalition has the city of Idlib in its crosshairs, having already captured much of the surrounding territory. The alliance launched its offensive today, utilizing suicide bombers in a complex assault. The Jaysh al Fateh alliance is being promoted online with a new Twitter page. A screen shot of the Twitter feed can be seen above. And the groups behind it have already published propaganda on their own Twitter pages in support of their efforts. For instance, the Al Nusrah Front posted a 1 minute, 13 second video earlier today showing two of its fighters firing an American-made TOW missile outside of Idlib. The video includes logos for both Al Nusrah’s “correspondents network” and Jaysh al Fateh in the upper lefthand corner. A screen shot from the video can be seen on the right. In a follow-up tweet, Al Nusrah claimed to have successfully used a second TOW missile. This is not the first time Al Nusrah has advertised its use of American-made weapons. 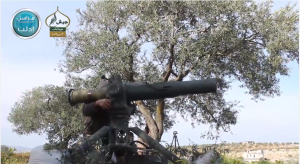 In December of last year, the group posted a video and pictures of its fighters using a TOW missile in Idlib. 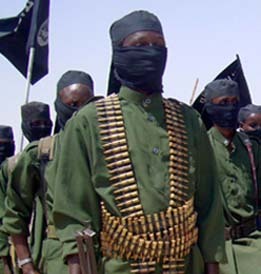 It is likely the weapons were captured from Western-backed groups, which have received some American-made arms. Jaysh al Fateh and its social media presence have been endorsed by key al Qaeda-linked figures online. One of them is Sheikh Abdallah Muhammad al Muhaysini, who is closely tied to Al Nusrah. Although he claims to have no organizational affiliation, Muhaysini has clearly coordinated his efforts in Syria with al Qaeda’s most senior leadership at times. In late January 2014, for instance, he released a reconciliation initiative for jihadists in Syria just several hours after Ayman al Zawahiri called for such a proposal. The initiative failed to bring together the Islamic State, an al Qaeda offshoot that rules over large portions of Iraq and Syria, and its jihadist rivals, including Al Nusrah. Muhaysini continues to work with Al Nusrah and other jihadist groups. On his popular Twitter feed, which has more than 345,000 followers, Muhaysini has heavily promoted Jaysh al Fateh and its social media presence. Muhaysini has also openly called for the “liberation” of Idlib in recent days, thereby underscoring just how important the effort is to the jihadists. On Mar. 18, al Araby al Jadeed reported on the planning behind the offensive in Idlib. A source allegedly serving in the Al Nusrah Front told the publication that “three operations rooms” had been set up to coordinate the jihadists’ efforts, with two being “fake” and one “real.” The publication’s source accused the Syrian regime of using “toxic gas” in an attack on one of the operations rooms in the town of Sarmin. The same source claimed that Al Nusrah was contributing 3,000 fighters to the battle, and that the various rebel groups had divided responsibilities between them. Neither the allegation concerning the use of “toxic gas,” nor the number of Al Nusrah fighters participating in the battle could be independently verified. The battle for the city of Idlib is a crucial part of the jihadists’ strategy for consolidating their control over significant territory in northwestern Syria. The Al Nusrah Front has repeatedly gone on the offensive against regime forces and Western-backed rebels in Idlib and Aleppo since late last year. Al Nusrah has captured locations previously controlled by the Syrian Revolutionaries Front and Harkat Hazm, both of which have been backed by the West. In October 2014, Nusrah launched coordinated suicide bombings in Idlib and temporarily took control of government buildings in the city. 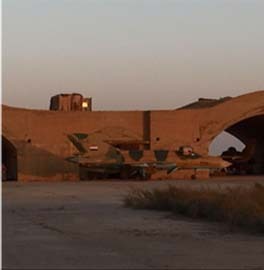 That attack, as well as other attempts to take control of the city, have been repelled by Syrian government forces and their Iranian-backed allies. 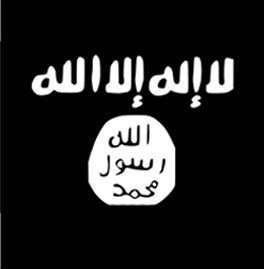 Sanafi al Nasr and his colleagues in al Qaeda are clearly hoping for a different outcome this time. Suicide attacks aren’t as good as they used to be , remember the prison that stood tall and all alone finally that truck with a battering ram welded on the front , didn’t help , suicide attacks have to sneak and surprise, not much chance of that in Idlib today, defenders have got an enormous advantage , especially when the rear is open the rebels are advancing from, I don’t think they really have got a clue, but fairs fair we’ll watch and see how they go. Nice analysis, seeing as their takeover of Idlib city took less than a week, in total.